Basically we import our lenses from korea manufacturer or korea suppliers. EMS AND CERT CAN BE SHOW TO PROVE AUTHENTICITY. open ur eyes if u buy lens online! WE HAVE AUTHENTIC PROOF OF ALL THE KOREA LENS WE TOOK IN ! we have tracking number of all batches of goods we took in. All parcel receiver will be meiting O. / felicia T. / V.wong . state (on the description part) that what we receive are lenses. we've got our dueba lens from korea supplier. proof can be scan for seller getting stocks from me. if u are getting seashell hypersize frm us. in the past seashell sell 14mm lens. 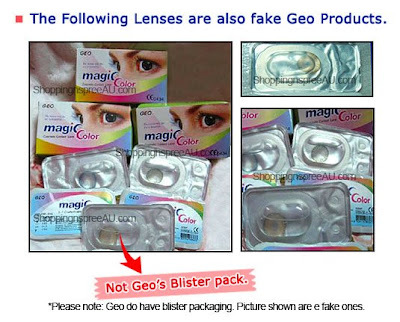 GEO lens announce the Anti-Fake System effective April 1, 2009. 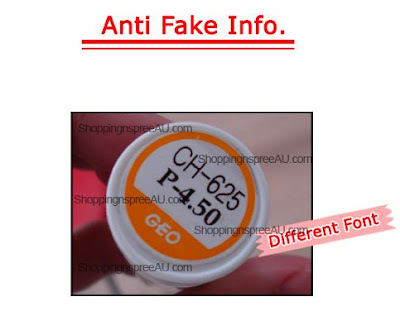 You will receive our lenses together with the stickers which have 20 digit hidden code to check the authenticity. Please refer to the sticker design attached. Ready stock lens if never open vials, can last for 2.5 - 3 years.